In Florida, a conviction for DUI can come with very harsh consequences. 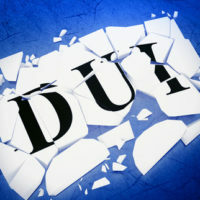 Not only could a DUI conviction cost you a lot of money, but you may lose your ability to drive and even your freedom. If you have been arrested for drunk driving in Florida, it is imperative that you contact an experienced Tampa DUI defense lawyer immediately. Your lawyer will be able to assess your case and will determine the best way to protect your legal rights. The process of protecting you starts with obtaining all evidence that has any relevance to your case. If you have been charged with a crime in Florida, you have constitutional right to access any evidence that might be used against you during a criminal trial. The Sixth Amendment, which protects your right to a fair trial, compels the state to turn over any evidence that will be used against you in court. Further, prosecutors must turn over any exculpatory evidence in their possession. In other words, if the police have evidence that suggests that you are innocent, they may not simply bury it. They must give that evidence to your attorney upon request. To be clear, prosecutors and police officers are not looking out for your bests interests. They will generally not turn over evidence on their own. Your attorney will need to take proactive steps to enforce your constitutional right to the evidence. In some cases, your attorney may have to file a Brady Demand to get the prosecution to give you access to exculpatory evidence. All of this evidence will be in the hands of the police department. Your attorney needs to be able to access it as soon as is possible. Only after obtaining this evidence will your attorney be able to fully understand your case. At that point, your attorney can determine how your defense should proceed. In some cases, it makes sense to fight hard the charges hard to prove your innocence. While in other cases, the best strategy may be to focus on reducing your punishment. At Pawlowski//Mastrilli Law Group, our criminal defense attorneys are ready to fight aggressively to protect your legal rights. We have extensive experience handling DUI cases and we know how to get the best results for our clients. If you have been charged with a DUI, please contact our team today to set up a free review of your case. We represent clients throughout the Tampa region, including in Pasco County, Hillsborough County and Pinellas County.